This perfect Housewarming gift is fantastic for real estate agents to give as a "Thank You" to a client when closing a deal. Give to a seller as a remembrance, give it to a buyer as a welcome, and, if you were the lucky agent who sold your client's old house and helped them purchase their new one, we can put one house on either side! Of course, great to give to friends and family to help them celebrate their new beginnings at their new home. Provide us with a high quality picture of the home. 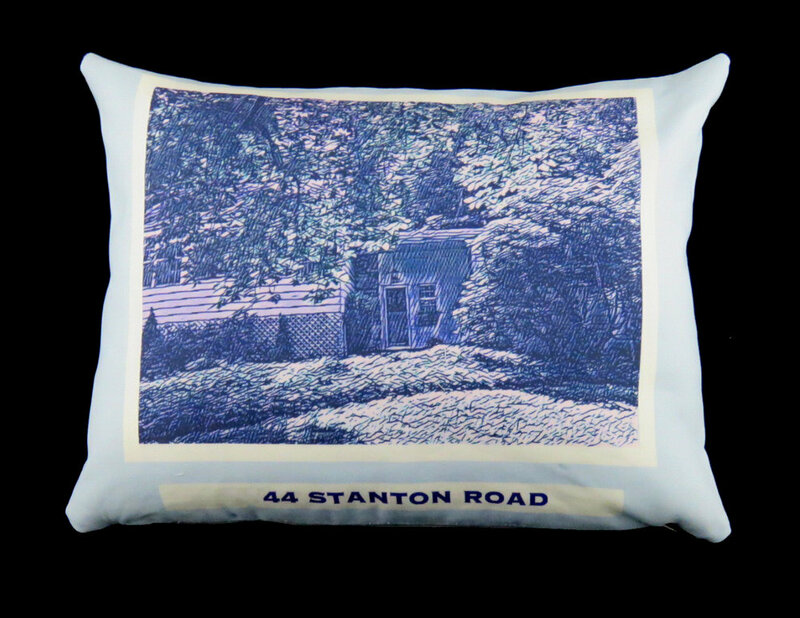 We put the photo (and the address) on a pillow, or we can create art from it - like a pen and ink sketch of the home. Click the blue button below to fill out our simple form and we will get right back to you, or just email us and we will provide a price quote. To view more photo/art pillows, click here. IF YOU ARE A REAL ESTATE AGENT, CLICK HERE FOR INDUSTRY PRICING.